Maddy and Eric brough me back this amazing chocolate from their honeymoon in Prague. 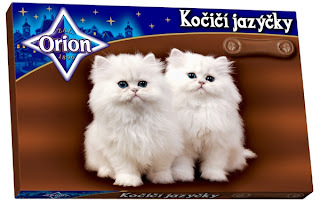 Kočičí jazýčky means cat tongue, and the little Orion brand chocolates inside are supposed to shape like little cat tongues. The chocolate was slightly minty and fairly to moderately pleasing. 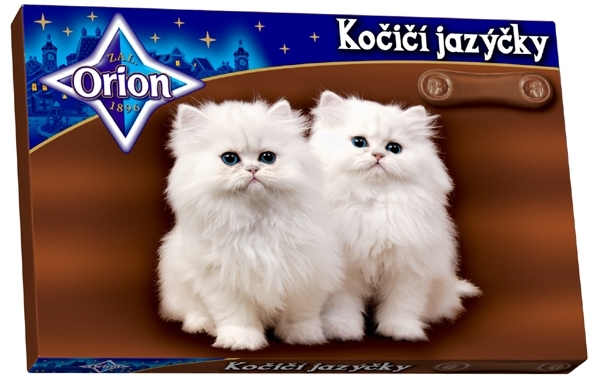 The packaging, well, needs no words, speaks for itself. Yum, thanks guys and congrats! The campaign for the Nokia N8 features this amazing piece by Aardman called 'Dot', which is shot entirely on the N8 using CellScope technology - and features a tiny 9mm girl. Dot is, they believe, the smallest-ever stop-motion animated character in a film. Professor Daniel Fletcher has created the CellScope - a microscopic device which, when attached to the Nokia N8 handset, produced life-saving technology. With his invention, he has helped diagnose fatal diseases in remote areas of developing countries. Amazing!